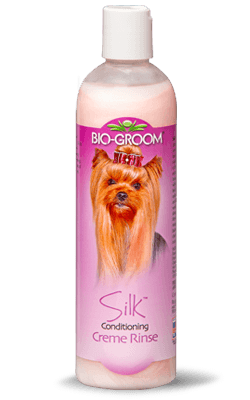 Show off an unforgettable shiny and smooth coat with Silk™. It is fortified with CHAMOMILE, nature's own stimulating hair and skin conditioner, and leaves hair looking and feeling it's best. Silk™ provides beautiful body, fullness, resiliency, and texture to the coat. 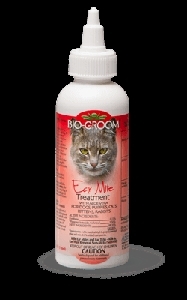 It moisturizes overworked hair, removes tangles, and rinses out clean, making hair easy to manage. Silk™ is designed for use on all coat colors, including white. It is anti-static, pH balanced, biodegradable, and fresh smelling. Dilutes: 4 to 1. Purified Water, Stearmidopropyl Dimethylamine, Glycol Stearate, Ceteth-2, Polyethylene Glycol Monostearate, Matricaria Chamomilla, Hydrolyzed Soy Protein, Panthenol, Aloe Vera, Citric Acid, Lavender Fragrance, Phenoxyethanol, Red 40, 100% Biodegradable Conditioners. FREE OF: Parabens, silicones, and common allergens.